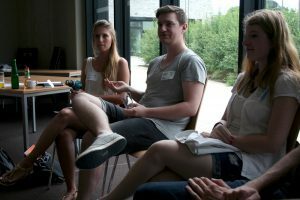 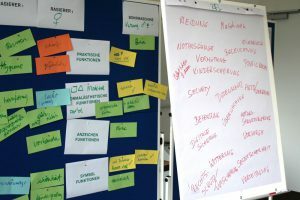 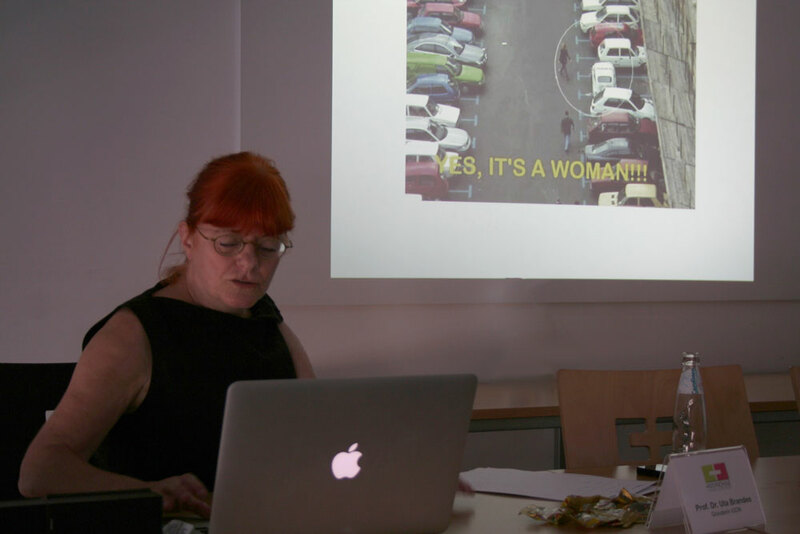 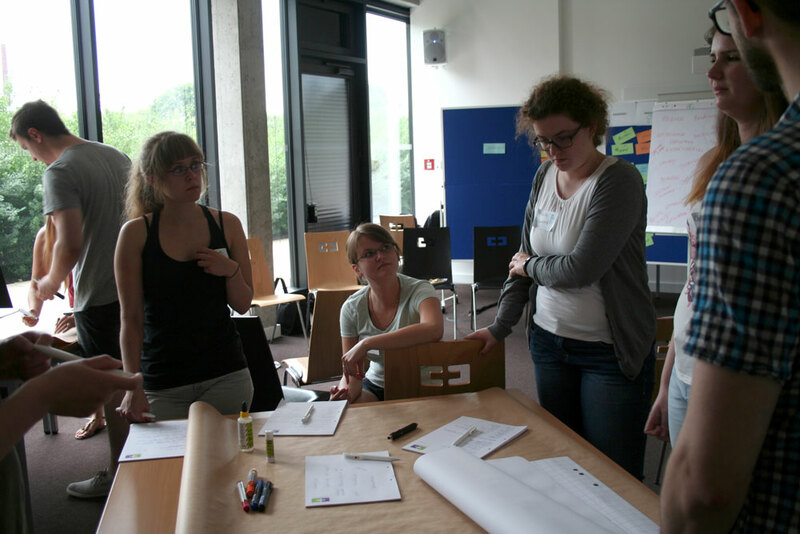 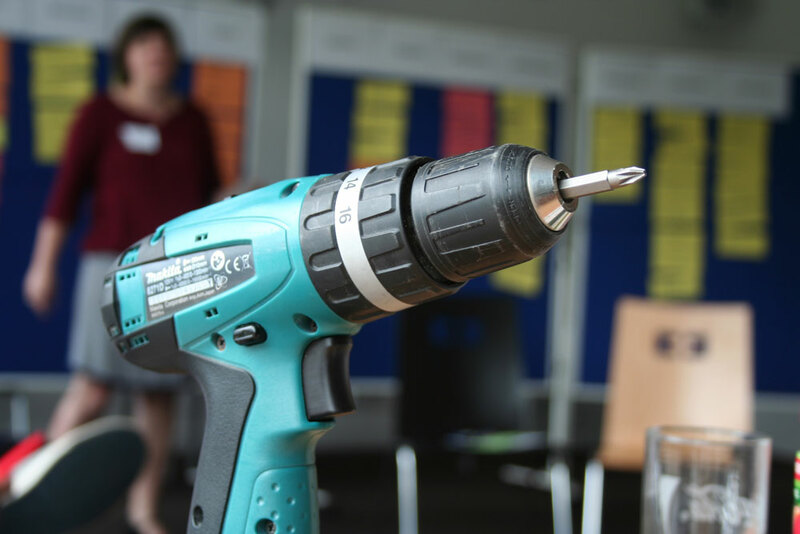 Ten students took the opportunity to explore the vast space of gender design issues on June 24th at FH Lippstadt. In cooperation with iGDN, the university’s equalization department and Prof. Katja Becker (Visual Communication in Digital Media) had invited interested students to join the workshop “Gender, Design, Alltag” (Gender, Design, Everyday life). 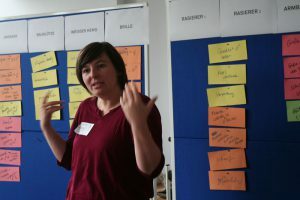 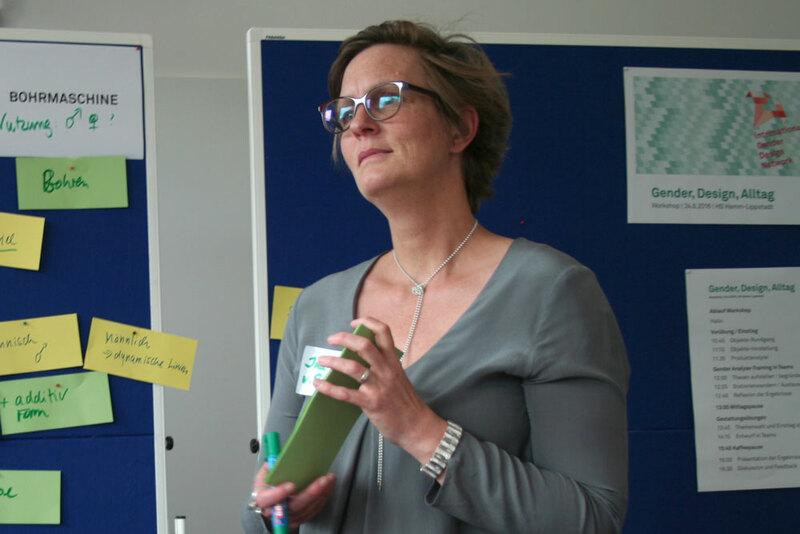 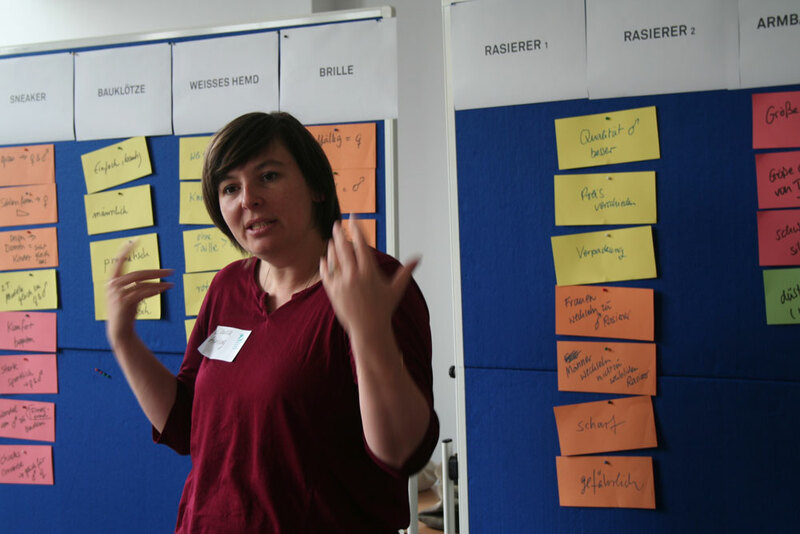 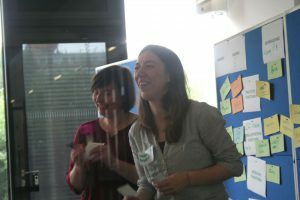 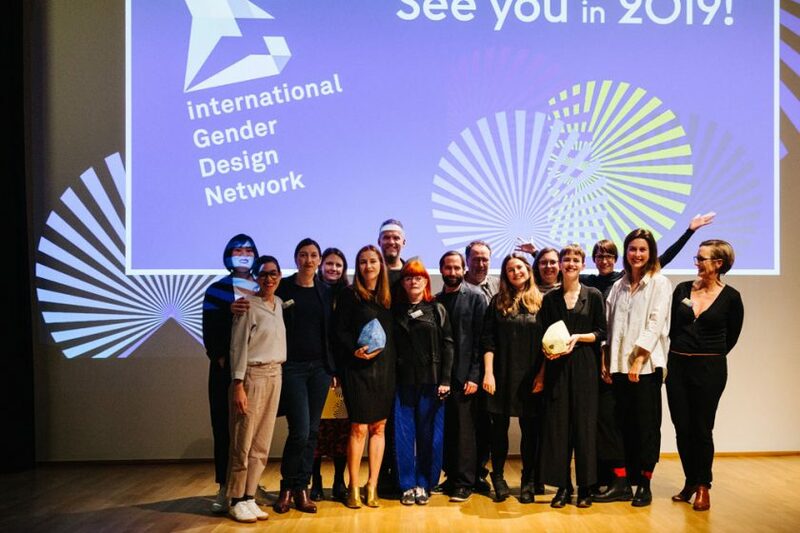 Prof. Dr. Uta Brandes provided an introduction to the one-day workshop, which was held by three designers representing the international Gender Design Network (iGDN e.V.). 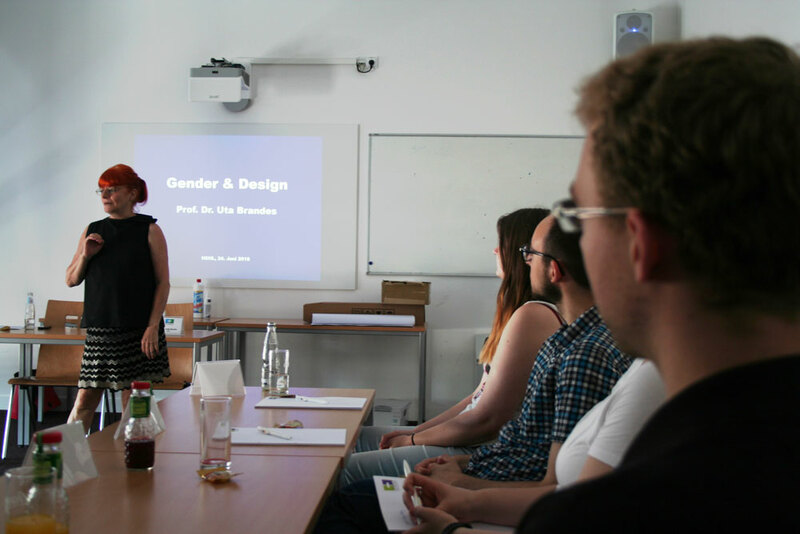 Uta Brandes introduced the students to gender design topics with her entertaining and enlightening talk about her gender design studies, which led to a lively discussion. 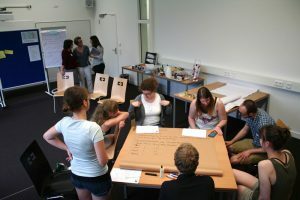 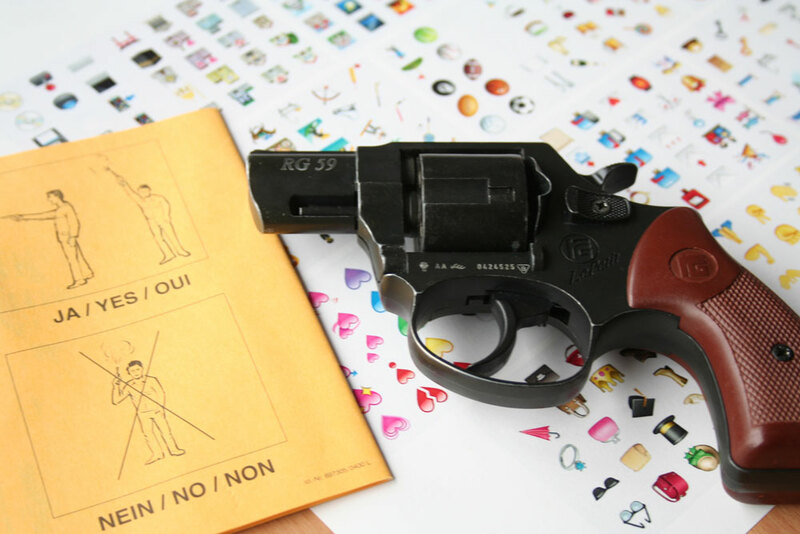 Inspired by the broad thematic fields and perspectives, 3 male and 7 female students embarked on practical training units: ten different everyday objects and products were used to examine and analyse their design with regard to gender sensitivity and to stereotypical male and female attributes or concepts. 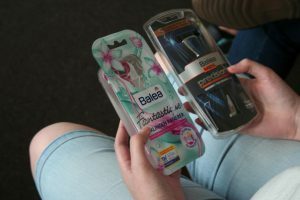 The students also discussed how gender arguments are reduced to mere marketing tools by comparing conventional shavers for men to those for women. 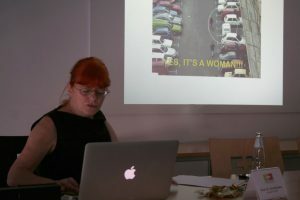 Analysing everyday objects made the students aware of the fact that even a simple white shirt, a pair of glasses or of sneakers embodies gender aspects. 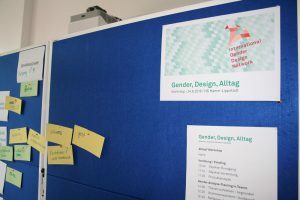 In the second part of the workshop, the students were asked to develop a new service, product or application by applying the knowledge resulting from the preceding activities and by incorporating gender sensitivity aspects into the design process. 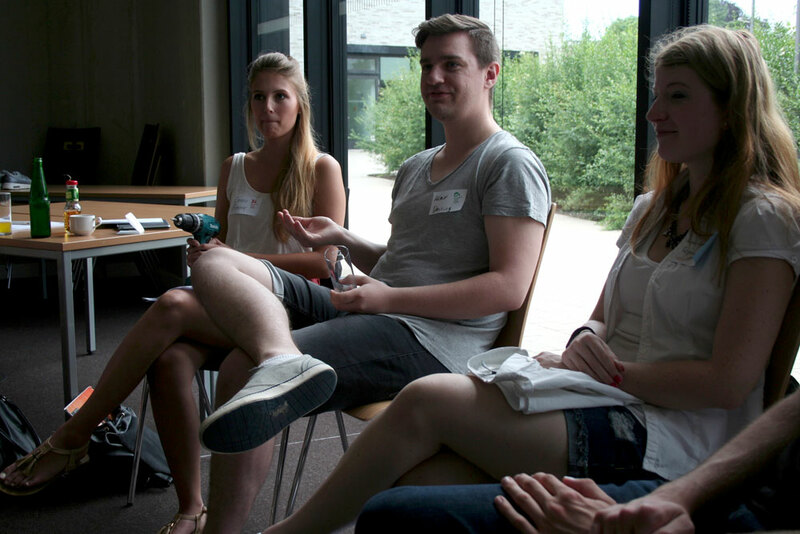 We thank the students for a very open, inspiring and motivated atmosphere! 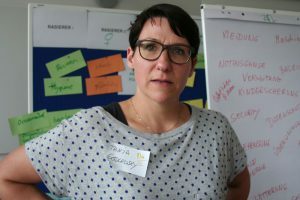 Tanja Godlewsky, owner of the Cologne-based FRAM design agency and teacher at the Institute of Popular Music at Folkwang University of Fine Arts. 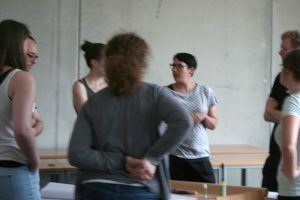 Claudia Herling, owner of the Cologne-based digitale frische design studio, author and teacher in the field of design, among other universities, at the University of Applied Sciences Aachen, Media and Communication for digital Business (MCD). 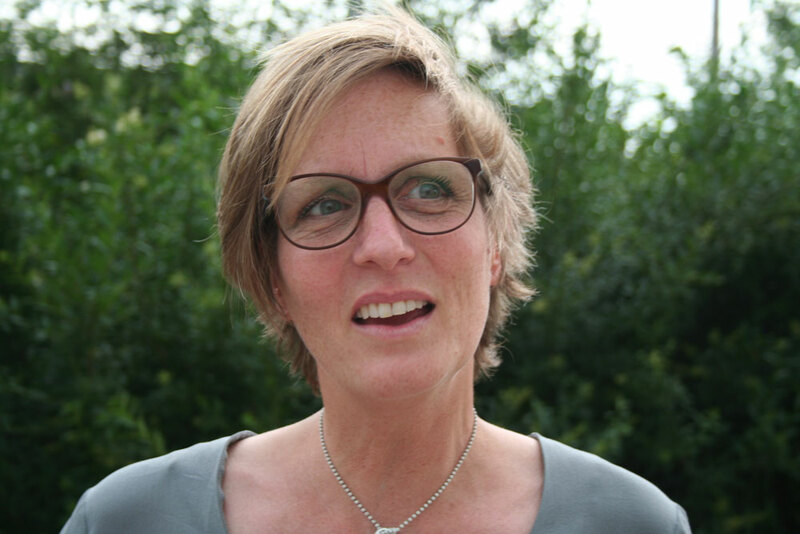 Ina von Rumohr, owner of moculade Design, former lecturer in Corporate Identity and Photography at the Fresenius University of Applied Sciences Cologne. 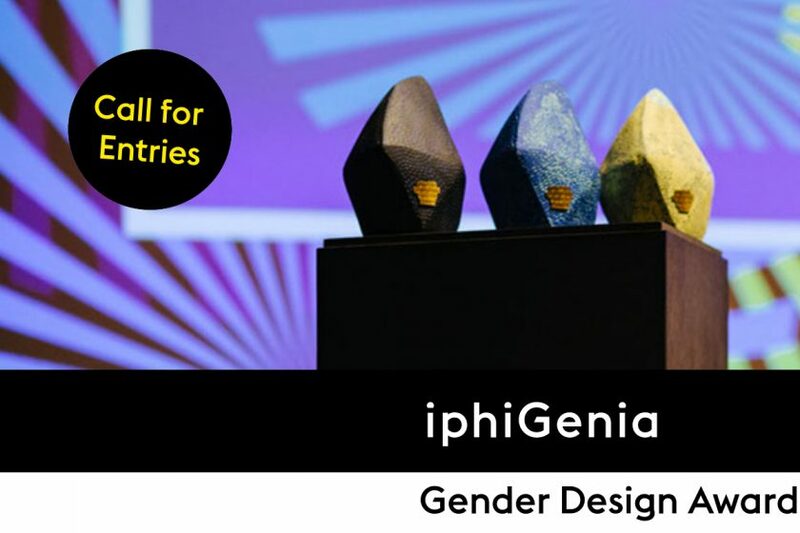 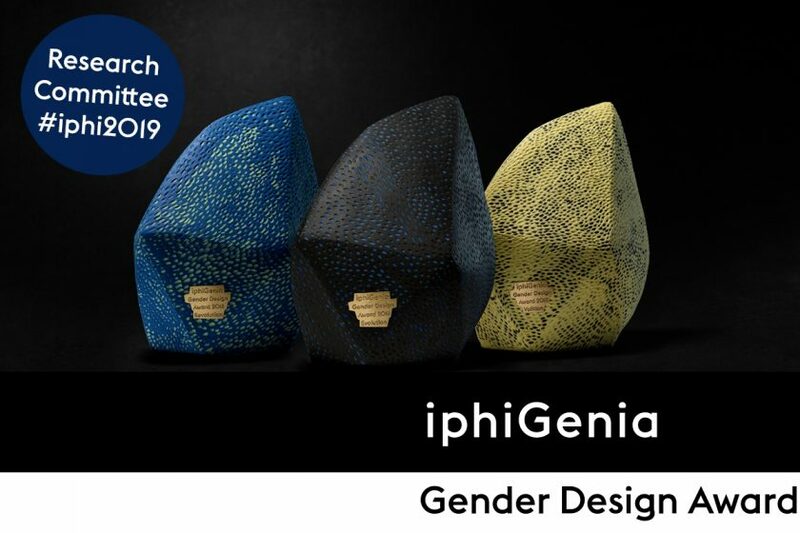 Dealing with gender design issues is an essential part of Tanja’s, Claudia’s and Ina’s work, both in client and student projects, as well as in other educational contexts.